On an episode of the Perceptive Podcast, I spoke with Jamie Madigan from Psychology of Games on the subject of motivating someone to keep playing a game. The cast was a fascinating discussion, but there was one topic that came up that is too big to just leave it to the cast, and that is the difference between short and long-term progression in game design. As developers do everything they can to keep someone playing and invested in their titles, short-term progression is ultimately the better fit. Motivating someone to keep playing your game has gotten a lot harder in recent years. The increase number of game sales and games being released daily has put a strain on all of our free time, and why creating compelling content is critical these days. On our podcast, Jamie and I talked about the psychological motivators and how they broke down for different personality types. Taking it further, we can break down any and all forms of progression in game design into two groups: Short-term and Long-term. The important distinction is the length of time it takes for the player to get their impact. 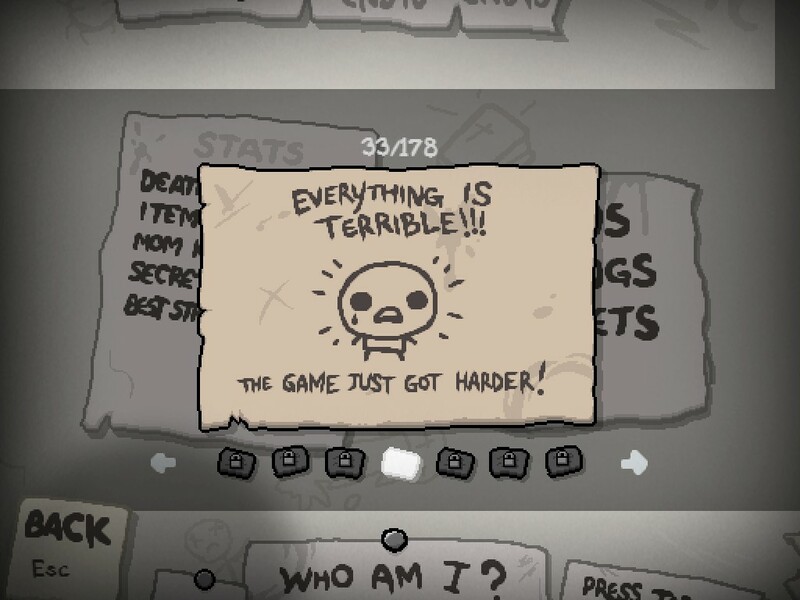 For instance, a short-term motivator would be beating a level in a game, while the long-term would be beating the game. An important note for this post, we’re not going to talk about the types of motivators and their uses here, because that topic is too big and I’ll be talking about that in its own piece real soon. The basic definition as you can tell is simple, the important part is figuring out which to include in your game and why short-term is typically the better form of progression. Simply put, the player should remained engaged throughout the entire course of playing your title; when there is no motivating factor, the game becomes a grind and can kill the player’s enthusiasm to keep going on. From our podcast, we both agreed on the importance of short-term progression vs. long-term. It’s better to have frequent goals that are achievable instead of one far-flung goal that you may or may not ever get to complete. The key point is that with short-term goals the player is making immediate and visible progress in the game. This is why the early game of MMOs is so engaging: The player is able to kill enemies quickly, see their progress bar go up, and over the first few hours they will be constantly leveling up and unlocking new things. The problem with long-term progression is that it’s too far in the future for it to be meaningful to the player. The example we used on the cast fits here: It’s more engaging to have 10 quests involving killing 10 different types of enemies, instead of one quest that requires 100 enemies to be killed. With the 10 quests, the rewards come more frequently, they’re quick enough on their own and the player is free to switch on and off between the 10 at their leisure. Even though short-term goals are more motivating than long-term, you can combine the two to create a layering effect that works incredibly well. The basic use of short and long-term goals is to keep them separate, but a better option is to combine them both so that the short-term goals combine into a long-term one. In this way, you get the best of both worlds: Short-term goals that provide quick rewards, which then lead to a long-term goal with a greater prize for players who go after this. This makes the long-term goal more attractive to go after, because the player has already started the process by doing the short-term goals; it’s more compelling to have goals that are already started to go after, rather than starting goals from scratch. 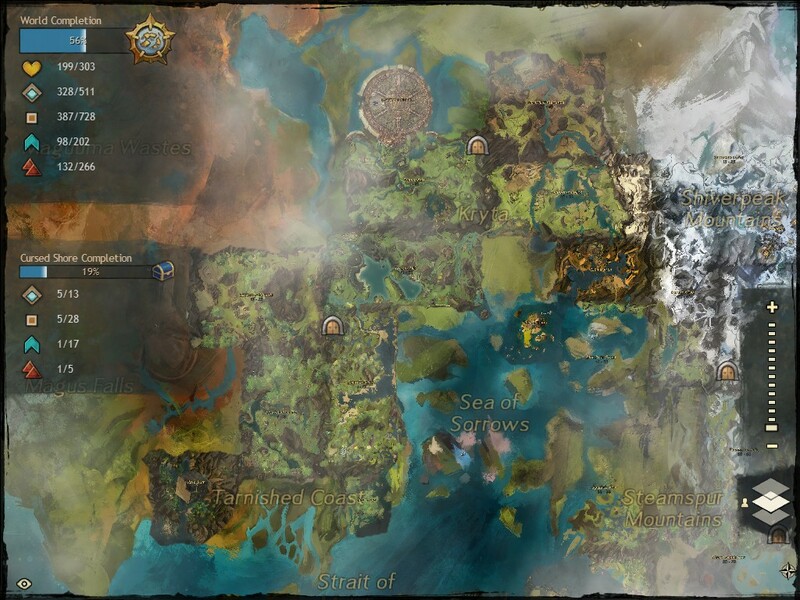 The best example I can think of this layered progression would be from Guild Wars 2. In the game, every area has a variety of quests and points of interest that the player can do at anytime, because they are scaled to the level of the zone. If the player does everything in a single zone, they will be awarded a special reward. By setting up the game this way, the player is rewarded for each individual quest with experience and gear, but they are then tempted to completely finish the zone, with this repeating for every area in the game. Guild Wars 2 also features rewards on every level up which further provide incentive to keep playing the game. The layered progression works perfectly, because the player is always working towards long-term goals, but it’s by performing short term ones. Blizzard has also been learning this lesson with the season’s journey system added to Diablo 3. 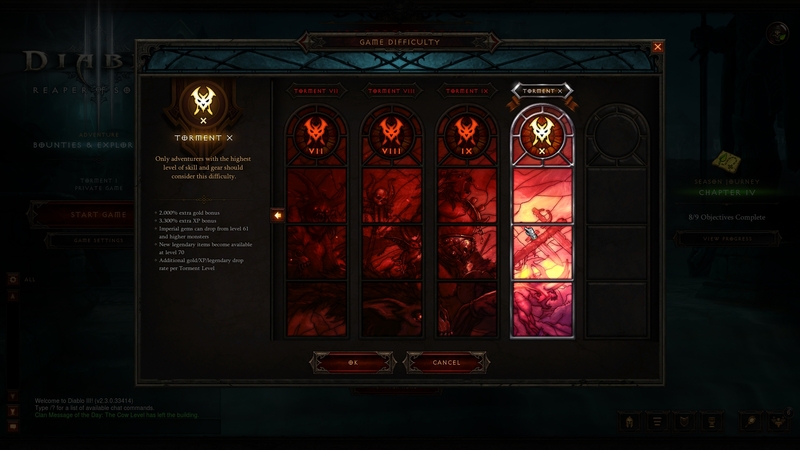 The season’s journey breaks down the typical play of a Diablo 3 character into multiple objectives that grow in challenge; taking someone from level 1 to 70 and then into the torments. 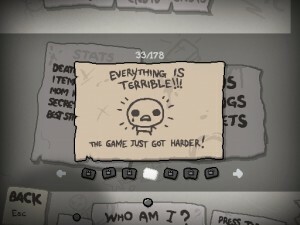 All the while, the player is still doing the same things they did before, but with the added incentive of completing goals and getting end-game rewards. Combining both short and long-term progression provides the best combination of progression models to keep someone engaged in your title. There is one other variant of short-term progression that I want to talk about: Randomized progression, but we’re going to save that for another post, because there are a lot of different elements to discuss. As long as the player is feeling like they’re making some kind of progress, no matter how small or large, it keeps the game from feeling like a grind and can keep bringing people back for more.